The use of contrast tipping and contrast inner placket along with horn effect buttons sets this 100% Cotton polo apart from the rest, available in a vast range of colours options. Three button slanted top placket. 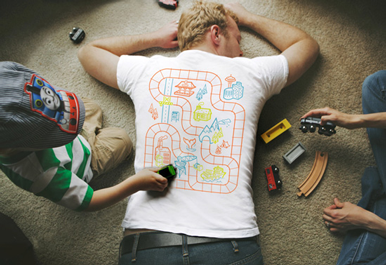 Sizes: Chest (to fit) XS (32/34"); S (36/38"); M (40"); L (42"); XL (44"); 2XL (46/48"). Washing Instructions: Machine wash at 60°C with bar under. Do not bleach. Do not dry clean. Two dot iron. 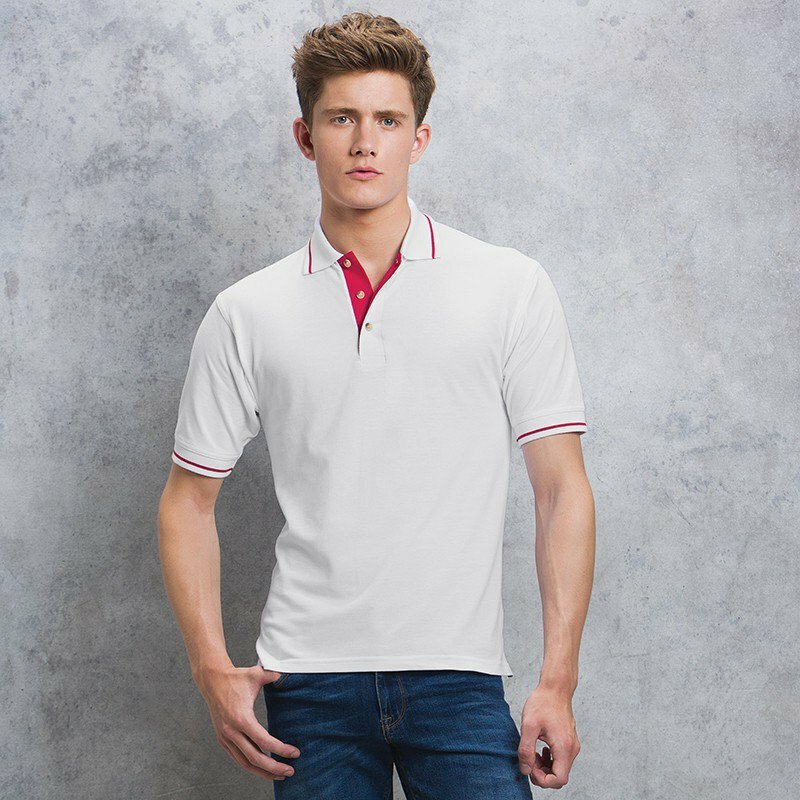 The use of contrast tipping and contrast inner placket along with horn effect buttons sets this 100% cotton polo apart from the rest. Available in a vast range of colours options. Kustom Kit Womens St. Mellion Polo (KK706): 100% Combed Cotton Piqué; Weight: 210gsm; 1x1 rib flat knit collar and cuff with contrast stripe.. The use of contrast colours provide a sporty look to a multi-purpose polo. 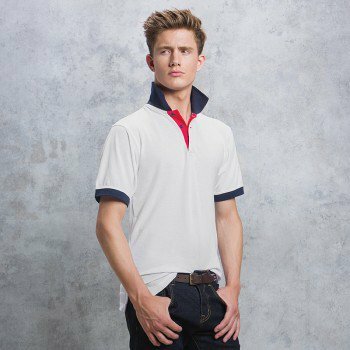 Kustom Kit Contrast Collar and Placket Polo (KK404): 65% Polyester / 35% Cotton; Weight: 185gsm; 1x1 rib flat knit collar and cuffs; Taped back neck; Comfort finish cuff seams; Tape reinforced shulder seams; Side vents; Slanted placket, half moo.. 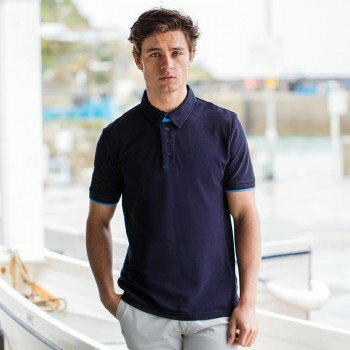 The additional design features of a button down collar and contrast piping detail, helps this poly cotton polo to stand out from the rest. Kustom Kit Button Down Collar Contrast Polo (KK449): 65% Polyester / 35% Cotton Pique; Weight: 185gsm; Self fabric fused button down collar; 1x1 ribbed cuffs with contrast piping de..